Tuesday of this week was amazing. Without a doubt everyone in the group broke a barrier and had great fulfillment doing so! Our day started off with a great hike that let us enjoy the beautiful view of Casco Viejo. From there we were off to dancing with the students of the University of Panama. Our first class consisted of dance diplomat Hannah facilitating a floor work combo and some structured improv. It was great to let loose and feel free. The second part of class was very energized as I took the lead and we explored some urban influenced movement. We ended class with a cypher so we can all share the space and have some fun. The last part of our day was phenomenal. 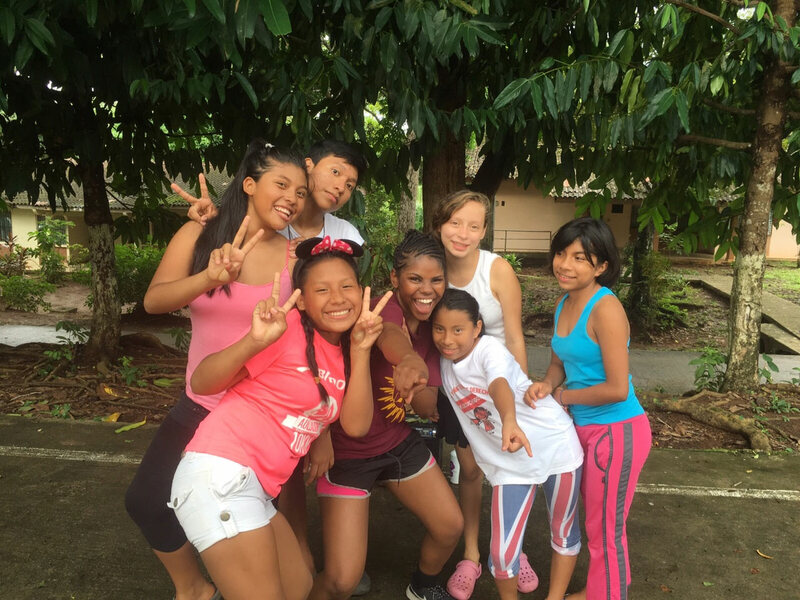 We had our first day with Aldea SOS Orphanage in Panama City and taught the kids some of their dance they will be performing on Friday. The kids picked up the choreography really well and we had lots of time to hang out. What a great day!